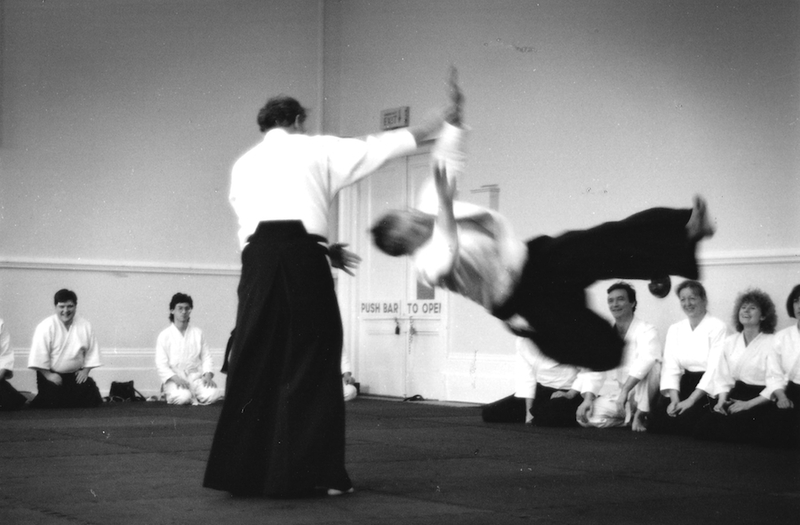 Calmness, relaxation and Ki are the subjects of this article on Ki Aikido. 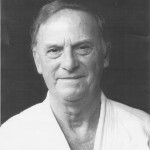 This is the second in a series written by Sensei Williams in 1990. If you hold out your arm and allow someone to try and bend it, they will experience great difficulty if you are calm and relaxed. However, if you tense your arm, or suspect that the arm will bend, you reduce your flow of Ki. It will be less difficult to bend the arm for the same amount of force applied. It is important that the tester tests with Ki and not physical strength. The stronger the flow of Ki, the more difficult it will be to bend the arm. In some cases it will be virtually impossible, even though the other person may be much stronger. 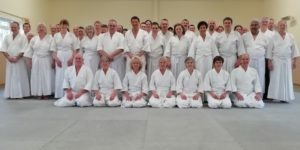 It must be emphasized that this and similar tests are designed to test the calmness of the mind and the degree of co-ordination between the mind and body. A body that is not easily moved when tested indicates a calm mind. There are various levels of testing, depending on the degree of proficiency in the use of Ki reached by the person undergoing the test. Someone trying to lift you off the floor will have difficulty if you remain calm. On the other hand, if you expect to be lifted you probably will be. Then you are in fact assisting the person who is doing the lifting. Of course, you do not alter the weight of your body by being calm and relaxed, but the state of your mind controls your degree of stability. An immovable mind means an immovable body, but this is in the sense that you are not moved against your will. No-one is indestructible as we are all human beings and Ki is not mystic, that's only for those who wish to think this way. Stupid acts, suggested as a way of testing one’s strength of Ki are not recommended. The real tests of one’s inner strength are those events encountered in our daily life. It is not difficult to be fairly calm when sitting in your living room, but much of life entails moving about and coming into contact with others. This is when we need to practice living calmness, not dead calmness. We practice dead calmness when we are dead. A calm mind means precise, smooth control of one’s movements and not rigidity. If you are in an emergency you will be able to move quickly, and think clearly. But if your mind attaches itself to any fear you will not be able to move, and you will suffer the consequences. 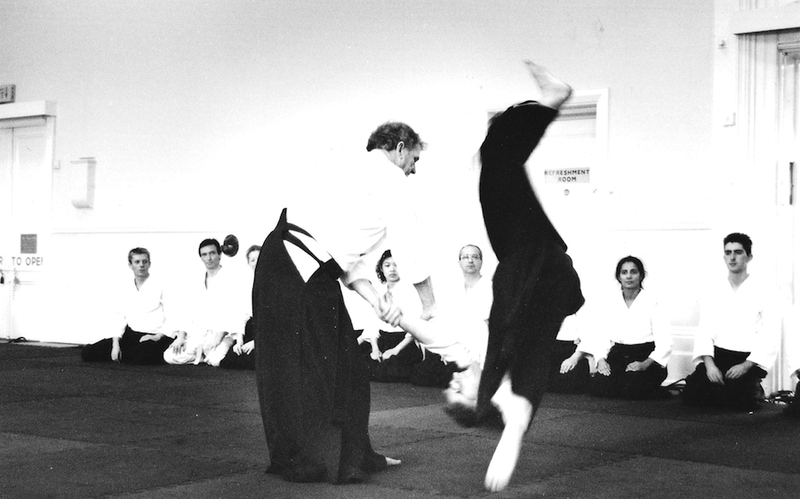 Allowing your Ki to flow strongly means concentrating on the task at hand, and not attachment. A child watching television or studying who does not hear his mother's call is attached rather than concentrating. Attachment is highly undesirable and sometimes dangerous. Tension is attachment, while relaxation and a strong flow of Ki is concentration. Some think, though, that tension is necessary to make adrenalin flow and give people a positive power. This is a stupid and dangerous outlook. Tension in the body makes the blood vessels contract, making it difficult for the impurities to leave the body. This makes us susceptible to many diseases. Relaxation on the other hand is an elixir of life.